Kathy Gallemore lives in the DFW Metroplex where she works at a financial services corporation. Gallemore earned her B.B.A. 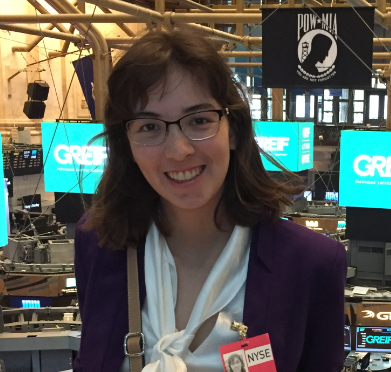 in Finance from the University of North Texas in 2017 and was a member of the Honors Program. I choose the University of North Texas are because of proximity, affordability, it’s a good university and my family members attended the University of North Texas. The main reason I choose to be a member of the Honors College is for the classes. Honors students have early registration and there are smaller classes. The part I enjoyed the most about the Honors College is the opportunity to do undergraduate research. I also enjoyed the Honors College networking events, since I met new people and I got free food! Both UNT and the Honors College influenced me to become more driven and to be more outgoing. I lived in the Honors dorm and I was active in the housing association. The most valuable lesson I learned at UNT is that life happens. I could try to follow a plan, but then something unexpected would happen. Fortunately, I learned how to improvise very quickly. After graduation, I started working at a financial services corporation. A memorable moment would be the Honors “Yell like Hell.” The theme for “Yell like Hell” that year was the Olympics and we had a sketch based on that and I got to be Scrappy. J We ended up performing again at the Homecoming Bonfire. The Honors College provides great research opportunities for undergraduates which allows us to learn and understand research. UNT is a great university that gives students a strong sense of community and has connections to companies. Denton has a very laid-back atmosphere and lots of places to hangout to relax.